Receive the updated list of fraudulent brokers periodicaly. -NO ONE MAKES MONEY, AT LONG TERM, WITH FOREX AND BINARY OPTIONS EXCEPT ... BROKERS. -THE FOREX AND BINARY OPTIONS ARE LOTTERY, NOT INVESTMENT. -NO ONE CAN GUESS THE FUTURE COURSE. -50% OF TRANSACTIONS ARE WINNING AND 50% LOOSE OUTBUT BROKERS ARE TAKING PART OF EACH TRANSACTION. -AVOID AT ALL COSTS UNLESS YOU WANT TO LOSE ALL YOUR LONG-TERM CAPITAL. -ONLY BROKERS ARE MAKING MONEY ON EACH TRANSACTION AND SOMETIMES IT IS FAKE TRANSACTIONS AND THEY KEEP ALL YOUR MONEY, SO... THEY ALWAYS WANT MORE OF YOUR MONEY. -BE CAREFULL: GIVING YOUR TELEPHONE NUMBER YOU WILL BE HARASSED EVERY WEEK BY "NEW" BROKER CHANGING THEIR NAME EACH WEEK. WE RECOMMAND TO DON'T INVEST IN FOREX AND BINARY OPTIONS. 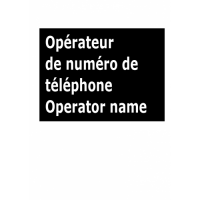 Get the operator name for specific phone number.Note:-The Information is to be taken with caution as..